Moving a piano is never an easy task. Even something as simple as rearranging its location within a room is a strenuous task. A piano is not a piece of furniture, it is a delicate musical instrument that has hundreds of moving parts that, if damaged, can render the piano useless or lead to costly repairs. If you’re considering moving your piano from one room, into another, you will want to look into hiring a professional piano mover like the ones from Zealous Mover. A professional piano mover has skill sets that most traditional movers lack. They know the best ways to move your piano without causing damage to the instrument or the location. Pianos are extremely delicate, even though their massive weight might suggest otherwise. A lot of people who attempt to move a piano on their own end up with serious injuries such as sprained or torn muscles throughout the body, including the legs, arms and or back. A Professional piano mover knows exactly how to protect themselves, the piano, and your residence. When you hire Zealous Mover, you’re hiring a professional moving company whose name has become synonymous with quality and reliability. We are a complete moving company that can handle all of your relocation needs, while ensuring the highest level of professionalism and dedication. It takes far more than a couple of young guys with strong backs to become a leading moving company. Some moving companies might try to strong arm your piano out of your residence and onto the truck. This could damage the piano’s keys, wires, peddles or other components, as well as the movers, simply because they are not experienced in moving pianos. Without the right tools or knowledge, the chance of getting your piano successful relocated, are not very good. We take our time to evaluate the location and the piano, including the size, shape and weight of it, before we even touch it. In some circumstances, it might be necessary to disassemble some parts of the piano to ensure that it is moved safely. Only a professional piano mover knows how to disassemble parts of your piano and properly reassemble in order to get it moved safely. If you are looking for a professional piano mover that will take the time to treat your precious instrument as if it was their own, then contact Zealous Mover today. Not only will we be able to help you relocate your piano safety and easily, we can also help you with the rest of your move. 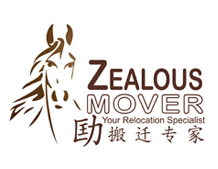 If you want a reliable company that has a proven record of success, you want professionals here at Zealous Mover.